I was in a marsh down the shore in southern New Jersey last week. I had stopped the car to look at some distant shorebirds in the mud. Then I noticed these two oystercatchers very close. I don't know how I had missed them. These large shorebirds are boldly patterned with black heads, white bellies, brown backs, bright orange bills, and red-rimmed yellow eyes. They had attracted my attention by moving. One bird got up from where it had been sitting on the ground. The other bird quickly took its place. They had a nest right there! 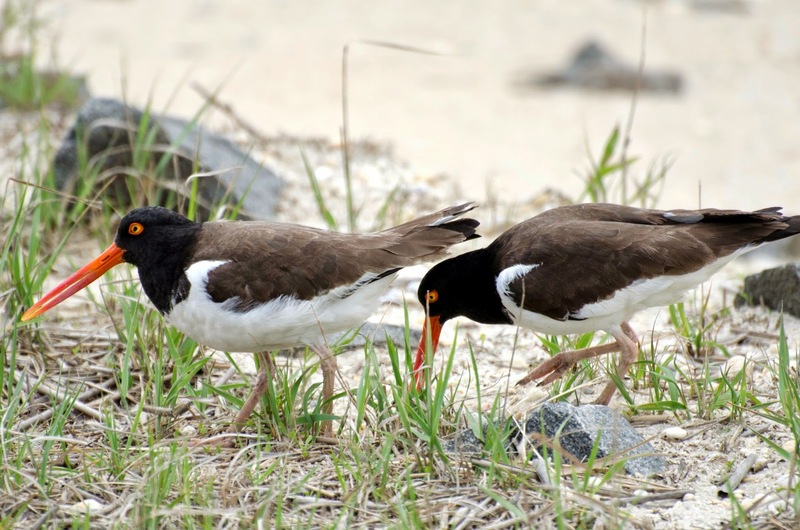 Oystercatchers nest on the ground in a shallow scrape lined with pebbles or shore debris. There were probably eggs there, though I did not see them. The bird that had been relieved from nest duty walked a few steps away and then stretched and preened. Click to enlarge. 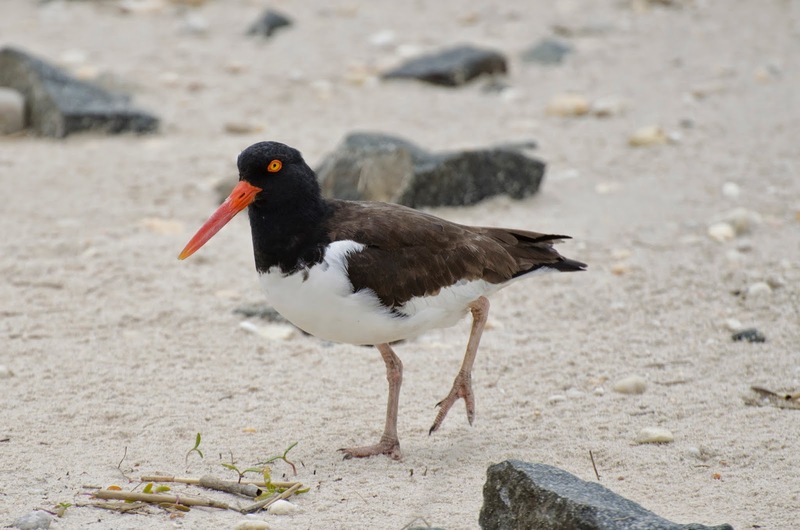 Oystercatchers use their unusual bills to forage for bivalves with a special technique. They walk stealthily, looking for partially opened shellfish, then jab with the long bill to sever the shell-closing muscles. They also sometimes pick up closed shellfish, take them to shore, and bang them open on rocks. They did not seem to mind me watching them, so I took a few quick photos from a distance and then left them to their parenting.